Check model availability by clicking on the logo above. Please check with the manufacturer concerning the availability of all the models listed on this page. In some cases the manufacturer is no longer in business therefore your only recourse will be the secondary market. 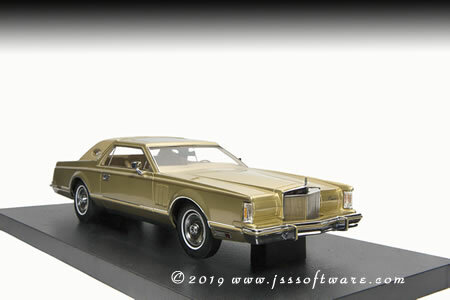 JSS offers a Swap/Trade page where you may request those hard to find models along with diecast parts, all at no charge, with no strings attached. JSS does NOT sell models we offer software to catalog your collection. We would be more than happy to help you locate a model. Contact Us. You may order yours today by visiting Diecasm (www.diecasm.com or calling toll free at 877.DIECASM) or visiting the Automodello web site. Be sure to mention JSS Software sent you.